Anita Dolman’s poetry and fiction have appeared in journals and anthologies throughout North America, including Canadian Ginger, Matrix Magazine, On Spec, Grain, PRISM international and Triangulation: Lost Voices. 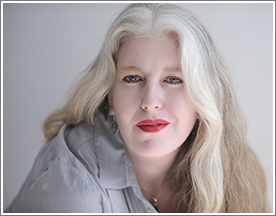 Anita is the author of two poetry chapbooks, and was a finalist for the 2015 Alberta Magazine Award for fiction. Her debut short fiction collection is Lost Enough (Morning Rain Publishing, 2017). She is a contributing editor for Arc Poetry Magazine, and lives in Ottawa, on unceded Algonquin territory, with her partner, child, and cat. You can follow her on Twitter @ajdolman.